The Hon. Don Page MP has held the seat of Ballina for the Nationals in the New South Wales Legislative Assembly since 1988. He became Minister for Local Government, and Minister for the North Coast in 2011. In this excerpt from an oral history interview, Mr Page recalls his grandfather, Sir Earle Page, who was a member of the Federal Parliament from 1918 to 1961 and Prime Minister from 7 April to 26 April in 1939. The Hon. 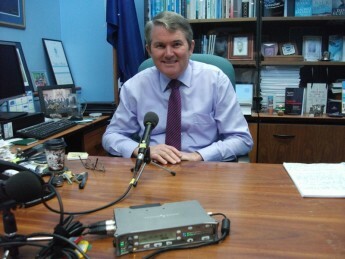 Don Page MP was recorded for the Oral History Program by Barry York in 2013. The full interview is not currently available online but is available upon request at the Museum of Australian Democracy. Please contact the museum prior to your visit and quote the reference number OHI 315.